The Congress under the late Sitaram Kesri pulled down I.K. Gujral's United Front government in 1997 for his refusal to drop the DMK from his cabinet because of Kesri's personal ambition to become Prime Minister, former President Pranab Mukherjee suggests in his latest book. "So why did the Congress withdraw support? What did Kesri mean by his oft repeated comment 'Mere paas waqt nahi hai' (I have no time)? Many Congress leaders interpreted as his ambition to become Prime Minister. "He tried to exploit the overarching anti-BJP sentiment while simultaneously undermining the United Front Government with the aim of thrusting himself as the head of a non-BJP government," Mukherjee says in his latest of the trilogy 'The Coalition Years: 1996-2012'. The first two voluimes of his autobiography dealt with the Indira Gandhi era and the turbulent decade post-Indira. The demand for withdrawal of support to the I.K. Gujral government under the United Front came after the preliminary report of the Jain Commission -- set up to investigate Rajiv Gandhi's assassination in Sriperumbudur in May 1991 by the LTTE -- gave its report in August 1997.The interim report of the Commission suggested that the DMK and its leadership had been involved in encouraging LTTE leader V. Prabhakaran and his followers. While the report did not refer to nay particular leader or involvement of any political party in the conspiracy, it was a problematic situation for the UF government in which the DMK was a constituent and had members. The Congress was supporting the government from outside. 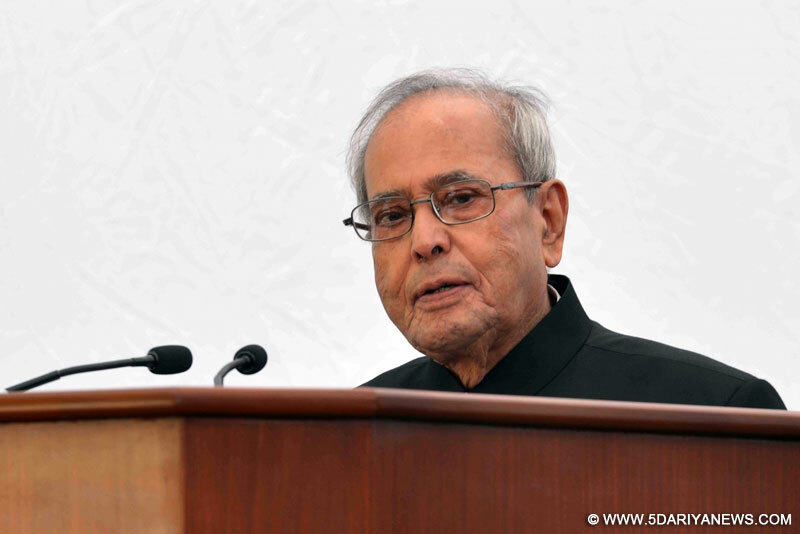 Mukherjee recalls that the Winter Session of Parliament in 1997 witnessed hectic parleys in an attempt to defuse the crisis. Congress leaders including Kesri, Jitendra Prasada, Arjun Singh, Sharad Pawar and Mukherjee were invited by Gujral for dinner at his official residence. The Prime Minister said there was no direct evidence of the involvement of any particular leader of the DMK, let alone any minister. Gujral went on to say that in such a situation, it would send a wrong message if he were to take action against the DMK. The government would be seen as succumbing to the pressure of a supporting party and its capacity to govern would become extremely limited. "Gujral was firm in his view that the credibility of the government could not be undermined. We told him that we would like to take the issue and his point of view to the Congress Working Committee (CWC) which would ultimately take a decision," Mukherjee writes.A large number of Congress members including a part of the leadership were not favourably disposed towards what now seemed to be a frequent withdrawal of support to the government. (The Congress had months earlier withdrawn support to the Deve Gowda government in which also Kesri had played a crucial destabilising role). These members were mostly those elected to the Lok Sabha had rightly feared that fresh elections may not favour them. Also, Gujral was quite popular among the leftists and had the support base of academicians and intellectuals. He had also been a long time colleague of Indira Gandhi. "Despite all these compelling factors, the Congress took a stand, and withdrew support," he says adding the CWC passed a resolution that Congress would withdraw support if the Prime Minister refuse to drop the DMK ministers from his cabinet.In doing so, the Congress chose to forget, or simply overlooked the compulsions of politicians of Tamil Nadu who were not in a position to vocally oppose the leaders of Sri Lankan Tamils.Whatever the reason, Gujral stood firm in his resolve not to drop the DMK ministers.Speaking highly of Gujral, Mukherhjee writes: "Despite the fact that he led a motley coalition precarious from the start, he refused to yield to the Congress demand...He held his ground. A man of principle, Gujral insisted that the investigations in the case of Rajiv Gandhi's assassination would continue. He refused to play into the hands of the Congress and left the office of the Prime Minister with his head held high." Later when Congress cut a sorry figure in Lok Sabha elections under Kesri, Mukherjee dwells upon Kesri's quite unceremonius ouster as the party president. On March 5, 1998, Sitaram Kesri convened the meeting of CWC where Jitendra Prasad, Sharad Pawar, and Ghulam Nabi Azad urged Kesri to take initiative to invite Sonia Gandhi to take charge of the party. Kesri refused to accept the suggestion and accused some leaders, including Mukherjee, of hatching a conspiracy against him. He then left the meeting. After Kesri left, all the members of the CWC passed resolution thanking Kesri for his leadership as also relinquishing the office of party president in Sonia Gandhi's favour.